What WAS undertakEN @ LOVE COMMUNITY in CARREFOUR? 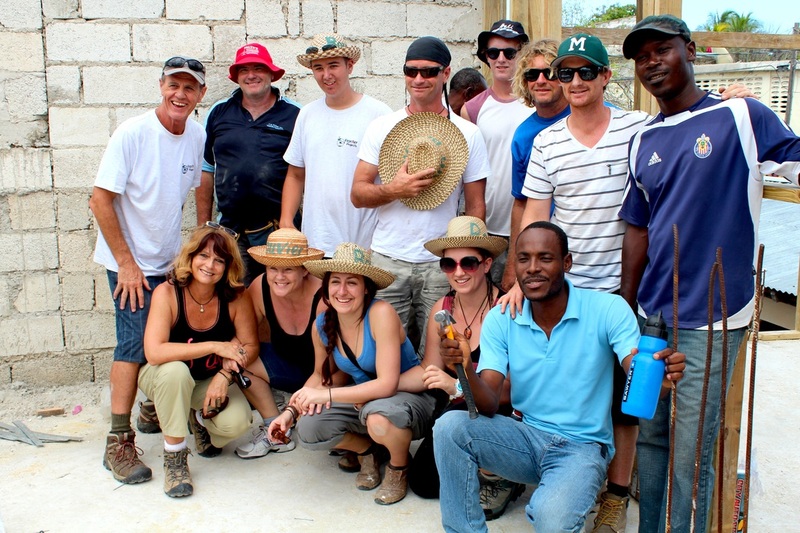 Partnering with our Haitian team to train builders and tradies as we continued to renovate Love Community Home. Spent quality time with the children and staff at Love Community as we checked on all the children, updated their information, played with them, prayed for them and undertook painting and art fun! Personally visited the homes of targeted parents, whose children are sponsored through Love community... finding out how we can assist the parents and families - not just the children. Officially launched 'LOVE FAMILY HOMES' - empowering parents to rise up out of poverty… to be able to keep their families together… to avoid relinquishing their children to others for feeding! This included a Celebration Dinner with the parents and children! 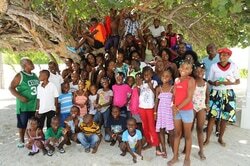 Enjoyed a very special DAY OUT at the beach with the children and staff of Love Community; playing with them - a very rare opportunity for the children! WHAT WAS UNDERTAKEN @ BOUVIER SCHOOL in the mountains? 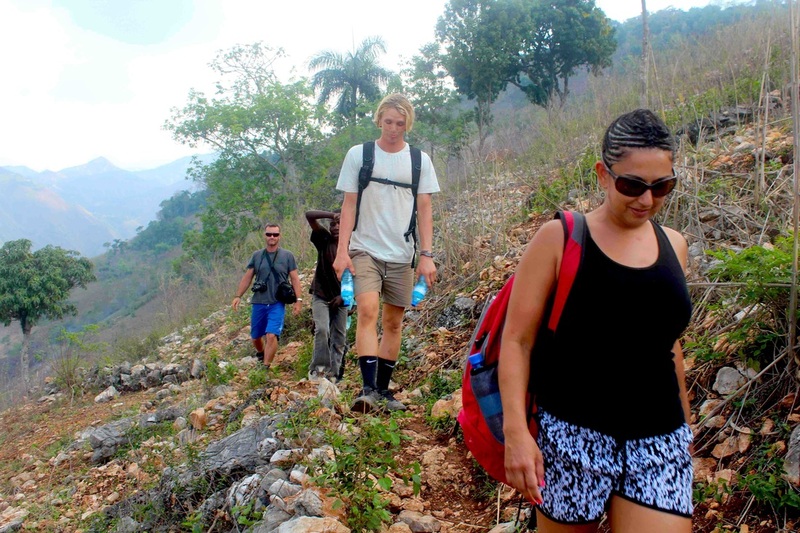 Out teams journeyed to Bouvier School: a 10-hour trek over three mountains and three rivers. This is always a very special time to talk, share, pray and enjoy the extraordinary creation around us! 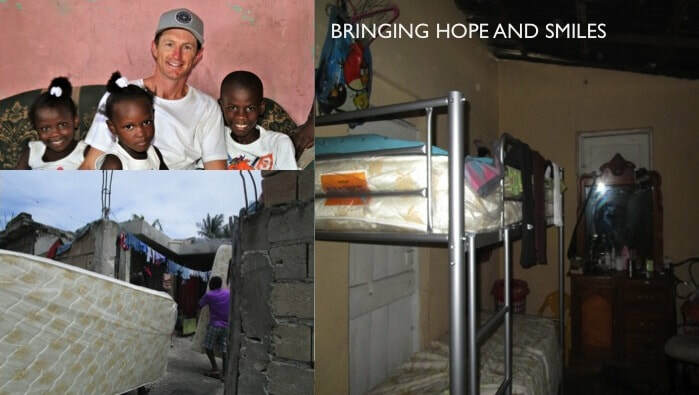 We partnered with our Haitian team to train builders and tradies as we continued to improve and renovate Bouvier School​ - particularly the building of the new school toilet block and renovating the teacher's apartment and balcony . Spent quality time with the children and staff of Bouvier School as we checked on all the children, updated their information, played with them, prayed for them and undertook games and computer fun with them! Planned the installation of a chicken-pen for the school farm. Met with staff to discuss INTERNET ACCESS, acquiring a MODEM and then the ongoing COMPUTER CLASSES - now that we have solar power! Met with Parents in a Community Meeting to discuss future plans! visited CAVAILLION (three-hour drive from Carrefour) to learn more about the area and meet families. This area is where we know God is leading us to undertake the next school and missions-base! had an incredible time blessing into the community of Carrefour - where the Missions Base is. 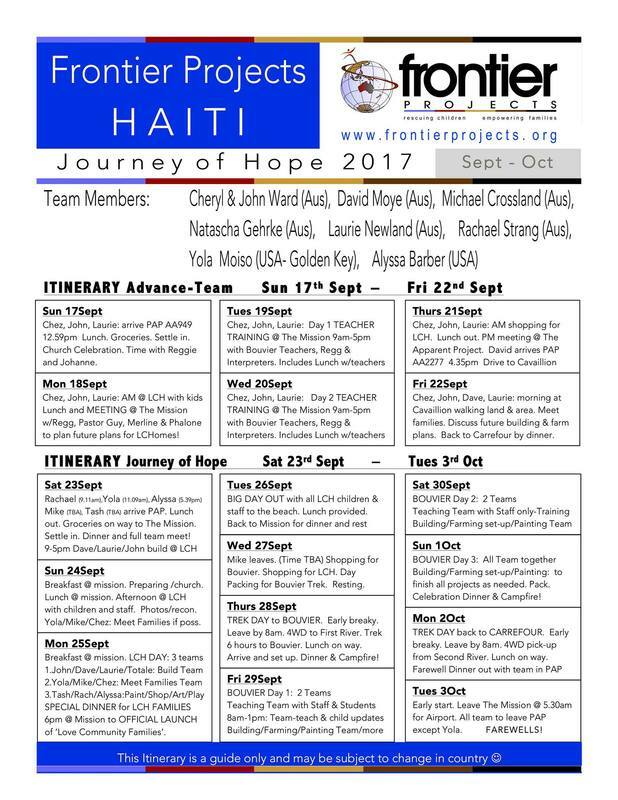 WANT TO FIND OUT MORE ABOUT COMING WITH US ON A JOURNEY OF HOPE?